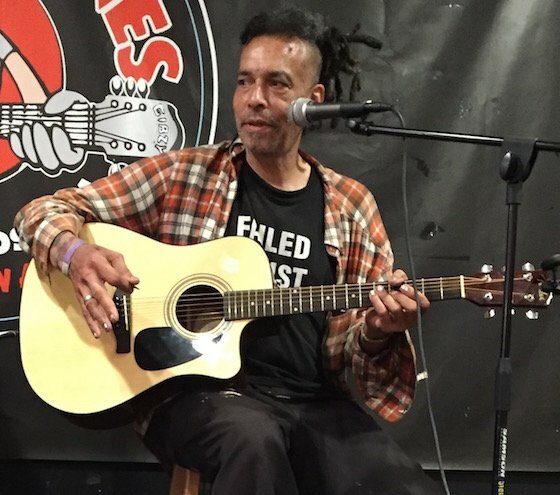 Late last week, the music world was hit with the tragic news that former Faith No More frontman Chuck Mosley had passed away. While details have been scarce, it's now been revealed that the 57-year-old died of a suspected heroin overdose. As TMZ reports, police found the musician dead in his Cleveland home surrounded by various drug paraphernalia. According to TMZ, police state that they found two syringes, a baggie and a spoon with residue by Mosley's body, leading them to suspect he died of a heroin overdose. Mosley was found dead Thursday (November 9) by friend and longtime partner Pip Logan. When Mosley's death was initially reported, his publicist stated that after "a long period of sobriety," the musician lost his life "due to the disease of addiction." It will take weeks for the medical examiner's office to reveal Mosley's official cause of death following a toxicology report.